HMRC has lost an interesting capital allowances case where it tried to limit the Taxpayer’s purchase price attributable to second-hand fixed plant and machinery to £1. The tax payer had claimed allowances of £318,792 based on a ‘just and reasonable’ apportionment of the total price paid. The First Tier Tribunal (FTT) found largely in favour of the Taxpayer’s claim for Plant and Machinery Allowance (PMA) on the fixtures within the property, albeit restricted to the Seller’s original cost incurred of £205,912. Glais House Care Limited (GHC / Taxpayer) purchased the business of an ongoing residential care home including the assets and freehold property for £1.7m from administrators acting for Kappians Care Homes (KCH / Seller) in May 2011. KCH claimed PMAs of £238,912 on both its original purchase of the freehold property in 2005 and subsequent improvement works which it carried out between 2006 and 2009. KCH liquidated soon after the sale in October 2011 and brought into account a disposal value of £35,001 in line with the sale and purchase contract allocation of £1 for fixtures and £35,000 for loose moveable equipment (chattels). In March 2014 GHC instructed a capital allowances specialist and submitted a claim for PMAs of £318,792 based on a ‘just and reasonable’ apportionment of the purchase price in respect of the fixtures it purchased in 2011.HMRC and the District Valuer accepted this figure. The PMAs identified were indexed back to the ‘estimated original cost’ at the time of installation by KCH in absence of the actual costs being known. As KCH had previously claimed on the plant and machinery fixtures within the property, Capital Allowances Act 2001 (CAA 2001) Section 185, restricts the current owner’s (in this case GHC’s) PMAs to the past owner’s (KCH’s) disposal value that ‘has been or is required’ to be brought into account. The disposal value in this instance is calculated by way of CAA 2001 Section 196 (1) as part of the sale price which falls to be treated as expenditure incurred by the purchaser on fixtures and CAA 2001 Section 62 (1) goes further onto limiting the disposal to the past owners original cost. HMRC argued that GCH’s PMA claim should be restricted to the agreed contract allocation of £1 for fixtures and £35,000 for loose equipment as part of the sale price treated as expenditure incurred on fixtures by the purchaser (the disposal value brought into account by KCH). However GCH submitted that CAA 2001 Section 562 ‘just and reasonable’ apportionment over rides the provisions in the sale and purchase contract. This is in line with a much earlier capital allowances case Fitton v Gilders and Heaton (1953-1956)36 TC 233. CAA 2001 Section 562 states, “if an item of property is sold together with other property then….the expenditure incurred on the provision or purchase of that item is…. given on a just and reasonable apportionment… attributable to that item”. HMRC later disclosed the actual costs incurred by KCH on the fixtures were £205,912 (this excludes the amount of £15,000 KCH had incorrectly claimed on cold water supply installed pre-April 2008, which HMRC incorrectly agreed at the time) and £18,458 on loose equipment. This information was only made available to the FTT and GHC during the proceedings. 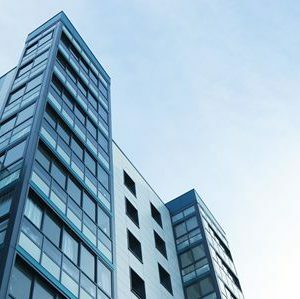 The FTT found GHC’s capital allowances calculation on its provision on fixtures within the property of £318,792 by way of CAA 2001 Section 562 ‘just and reasonable’ apportionment is to be restricted in accordance with CAA 2001 Section 196 (1) and Section 62 (1) to KCH’s actual cost incurred of £205,912. The FTT separately agreed GCH is eligible to claim on the cold water system of £13,266 and mains electrical system of £17,006 as they purchased these fixtures after the introduction of Integral Features in April 2008. The FTT went further on to voluntarily agreeing the loose equipment to be restricted to KCH’s original cost incurred of £18,458. The FTT acknowledged the challenge faced by HMRC in ensuring symmetry between the disposal value to be brought into account by KCH and the PMAs to be claimed by GHC. However, the FTT considered that the legislation at the time did not “set out to deliver symmetry”, this was addressed in Finance Act 2012 by the introduction of CAA 2001 Section 187A for expenditure incurred on or after April 2012. CAA 2001 Section 187A requires for the Seller of commercial property to pool (recognising the PMAs on fixtures in a relevant tax return) and fix the disposal value by way of a CAA 2001 Section 198 tax election (mechanism afforded by legislation to fix a disposal value and transfer allowances) to enable the Buyer to claim post-sale. This aimed to avoid double-claiming of PMAs on second-hand fixtures. The above case demonstrates HMRC ignoring contract allocations (which are not supported by a198 CAA 2001 tax elections) are non-binding especially if the quantum is not deemed to be fair and reasonable as held in Fitton vs Gilders. Given the more recent introduction of CAA 2001 Section 187A, HMRC addressed the issue of symmetry between a Sellers disposal value and a Buyers provision on plant and machinery fixtures. The case also demonstrates that the FTT and HMRC both recognise it is reasonable for a specialist to calculate the Buyers provision on plant and machinery fixtures based on a ‘just and reasonable’ apportionment of the purchase price paid restricted back to the Sellers estimated original cost of when the fixtures were installed, in the absence of the Sellers original cost where it has previously claimed PMAs. You may wonder how relevant the above case may be going forward as CAA 2001 Section 187A resolved the asymmetry issue in relation to plant and machinery fixtures. This case helps provide clients the opportunity to revisit previous contract allocations. It also sets out a basis where tax paying sellers and buyers fail to enter in tax elections. The valuation basis and ability to estimate historical costs is clearly established. We see numerous instances where the Seller has claimed PMAs on fixtures within the property but forgot or failed to agree a disposal value by way of a CAA 2001 Section 198 tax election. 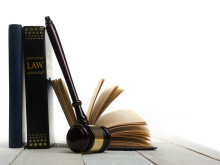 CAA 2001 Section 187A (7) (a) affords the Buyer of second-hand fixtures to apply to the tax tribunal for a determination on the disposal value to be brought into account by the Seller which will also act as the Buyers provision on plant and machinery fixtures. 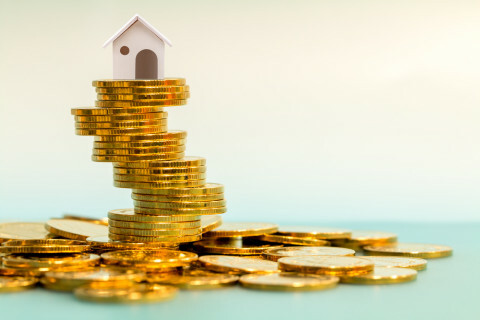 That is when you will be required to calculate the Sellers disposal value by way of a ‘just and reasonable’ apportionment restricted to the ‘estimated original cost’ when the fixtures were installed by the Seller. It is a generally accepted practice in the capital allowances profession that there are no provisions in legislation which restricts PMAs on the purchase of second-hand chattels. The requirement for symmetry between a Sellers disposal value and Buyers only applies to fixtures. CAA 2001 Section 187A was introduced to ensure symmetry for fixtures not chattels. Therefore in our view the approach taken by the FTT for restricting the value of chattels for GCH’s PMAs to KCH’s original cost is incorrect. To demonstrate this point if Abu bought an antique desk for £1k but sells it to John for £10k, John claims allowances on the £10k paid and there is no restriction to Abu’s original cost of £1k. The lesson of this case is you should consider instructing a capital allowances specialist to value and agree allowances. Accountants and property lawyers have some knowledge in this area but are seldom specialist valuers and often do not understand the practical implications. Furthermore make sure you agree early in a sales process what capital allowances values are retained and passed on.